The Henderson Area Arts Alliance has teamed up with Henderson County Schools to bring Kentucky Shakespeare to several area schools next week. The group will be teaching hour long workshops at the schools on Hamlet, Richard III and Twelfth Night. Kentucky Shakespeare is the largest in-school arts education organization in the Commonwealth, visiting 50,000 students each year. 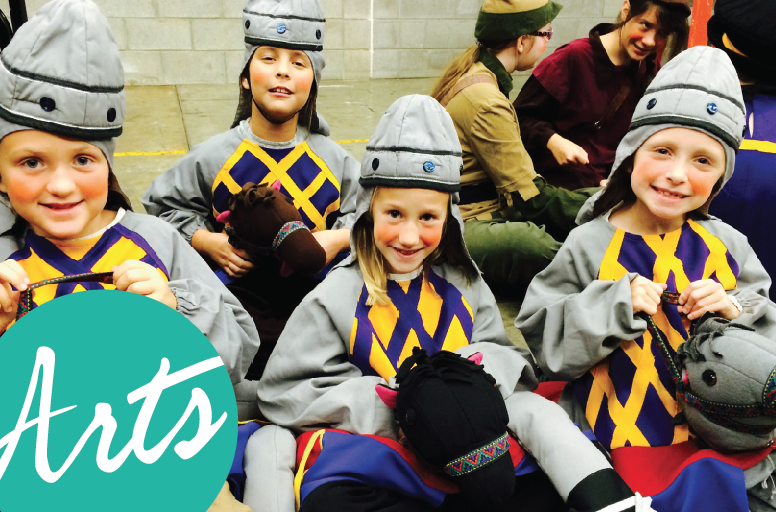 Since 1990, Kentucky Shakespeare has made the works of Shakespeare accessible to over 1,000,000 K-12th grade students in all 120 counties of Kentucky and surrounding states. HAAA will also offer a special pre-performance of Cirque Mechanics: Pedal Punk for area third graders on Tuesday, November 14 at 9:00 a.m. at the Preston Art Center. The evening show will be held at 7:30 p.m. at the same location. Tickets are $35 and $25 for adults and $15 for all students. The show, which features circus acrobatics, mechanical wonders – and a bit of clowning around – is perfect for all ages. Tickets to the evening performance of this show are available at haaa.org or by calling the box office at 270-831-9800. “Our partnership with Henderson County Schools, that has existed for over 20 years, continues to grow as we change more students’ lives through the arts. We hope everyone will bring their whole family out to see Cirque Mechanics on November 14,” Caudill said. The show is presented by Field & Main Bank, The Raymond B. Preston Family Foundation, Gibbs Die Casting Corporation, Audubon Metals LLC, Brenntag, and Ervin Cable Construction.